RSI (Repetitive Strain Injury) can be a challenge to figure out and to reverse. Theories abound about how and why these injuries affect us. Most of these theories are based in the traditional medical model and the anatomical way of looking at and assessing injury. What Is RSI and What Causes It? So, what does that mean for someone with an RSI? Let's talk about the five most common injury-causers. When you see them, they will make a lot of sense to you. And, they are responsible for the lion's share of all upper body RSI's. 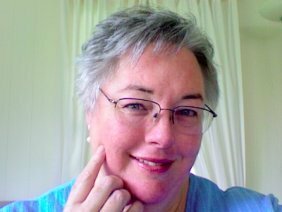 "I would like to see everyone in the world suffering from RSI give Sharon Butler’s programs a try. I think Sharon is the top expert in the world on how to teach people to recover from RSI using simple self-help techniques." Our bodies work best when they are in alignment. Each segment of our bodies is supported by gravity, especially if we are well aligned. Joints move more effortlessly, breathing is smooth and full, flexibility is maintained. Basically, we are more comfortable when we are in alignment. But, our lives are often filled with repetition and poor habits. We hold our bodies in positions that are stressful and uncomfortable. We move in unbalanced ways that become unconscious to us and that lead to strain. Over time, the force of gravity in combination with repetitive movement and stressful habits causes our fascia (connective tissue) to dry out, become stiff and less yielding, lock us into our habitual stances and ways of expressing ourselves. Stresses lead to more stresses that affect more and more of the body. We compensate. We adapt. And we develop a repetitive strain injury. The human body works best in a certain alignment. On your car, when the alignment of the front wheels gets out of balance, your car starts to shimmy and shake. This can then lead to front end damage, uneven wear on your tires, steering difficulties, etc. In other words, the car's systems start to break down and it costs you a lot of money to fix everything. The human body isn't much different. Everything in your body is suspended in a matrix of connective tissue known as fascia. Fascia has the ability to change its consistency if strain is present. Normal fascia is very strong, but stretchy. It moves and gives with your every movement. But, if your movement patterns are stressful, like when you have a slouched posture, or you have to constantly grip something heavy, fascia will start to become shorter and tighter, less resilient, and less stretchy. You begin to feel stiffer. 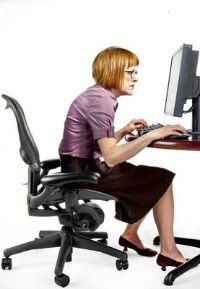 It becomes harder to sit or stand up straight. Some movements may become uncomfortable or even painful. If the fascia that is affected by your posture happens to wrap a nerve, you are more likely to develop nerve-related symptoms of Repetitive Strain Injury like numbness and tingling. If the fascia that is affected by your posture is embedded in muscle, you will be more likely to feel more restricted in your movements and you will more likely develop muscular symptoms of RSI like weakness and muscle pain. I am sure you have had the experience of being under stress. We all know that feeling. If you pay attention to how you feel when you are stressed out, you will probably notice that your body tightens up, your movements become tighter and more rigid, your breathing slows way down and becomes very shallow. All of these examples will cause strain to your fascia. And, once the stress and strain have gotten a foothold, it becomes difficult to know what came first, the stress or the feeling of strain. They begin to go hand-in-hand. One will perpetuate the other. What I mean by that is when you feel stress, your muscles will tend to tighten up. Because they work together, your fascia will also tighten up. Once your body feels tight, your brain begins to associate it with feelings of stress, so your posture and your movements will begin reflecting that feeling. 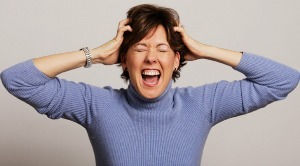 Stress causes strain, which causes more stress which leads to even more strain and around and around we go. If you are doing something repetitive or that requires strain while you are experiencing this stress, you will develop a repetitive strain injury even faster. All injuries, the recent as well as the very old, are recorded in your body's connective tissue system, the fascia. Fascia is the stuff that holds you together. It connects everything under your skin with everything else. It transmits movement so that one part of your body knows and follows along when another part moves. It allows muscles to slide and glide alongside one another. It forms a protective tube so that nerves and blood vessels can move in and between muscles, skin and bone without getting irritated. When you are injured the fascia actually changes at the moment of injury and remains tighter and more restricted in an effort to support your injured body. It's a very natural fail-safe mechanism that all bodies share. Have you ever broken a bone? 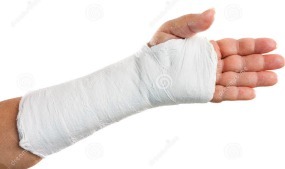 Once your cast comes off, you probably noticed that you feel much stiffer, you have lost range of motion, your muscles feel thicker, shorter, less healthy. This is due to the changes in the fascia that permeates your muscles. They have changed due to the inactivity of being in a cast, which is stressful. Your injury can also include surgeries, cuts, internal tears, etc. The fascia forms scar tissue in response to this kind of injury. If you have ever felt a bit of scar tissue on your body, you know it is thicker and denser than the surrounding tissue. A helpful example of how this works is to think about a pullover sweater, the kind that is solid in the front, with no buttons or zipper. If you pull the sweater in any direction, the fabric will "give" easily in that direction. You will also notice that the effect of the pulling is shared equally with all the threads along the pathway of the pull. The movement caused by the pulling is transmitted equally throughout the sweater. Let's say you take a scissors and cut a 4-inch slit in the front of your sweater. Because of the interconnectedness of the sweater's fibers, you must stitch the hole closed or the sweater will unravel. When you stitch the slit closed, you begin to notice that the sweater can no longer stretch easily and equally in all directions. It is inhibited by the sewn-up tear. It's the same story with fascia, When it is cut, as happens in any surgery, it must knit itself back together to maintain the integrity of the whole system of fascia. This is because one of fascia's jobs is to transmit movement through your body. So, when you have a cut of some kind, the fascia will knit itself back together very quickly. Your body may appear to be whole again, but the fascia will have changed and this will lead to changes in how your body works. This is how scar tissue forms after an injury. The result is that the repaired tissue no longer stretches easily and equally throughout the sheet of fascia, just like the repaired sweater. This now becomes a source of stress to your body and it responds by building up more restricted tissue. "Your program has been a very valuable and successful non-surgical option for my patients." We are creatures of habit. Most Moms carry their babies on the same hip. Most salesmen carry their heavy briefcases with the same hand. Painters move their arms in the same way as they paint. Our handwriting is almost always done with the same hand. All are habits that can be stressful to our body's connective tissue matrix. What are your stressful habits? Do you think about them much? Most of us give very little thought to how things feel, until they hurt. Then we become acutely aware of the movements that cause pain, the body positions that no longer feel good to us. Consider how you are sitting or standing right now. Is there more pressure on one side of your body compared to the other side? Are you leaning? How does your neck feel? Do you feel like you can take a full breath? Notice it all. Now, sit or stand up straight. Do your symptoms change at all? Most of us will notice that while this improved posture may feel less customary, it does cause less discomfort. And if it doesn't, it's because your habits are so long-standing, your body has molded itself to reflect those poor habits. Finding a way to release those changes in your body will help you avoid developing a repetitive strain injury. And if you already have a repetitive strain injury, there is no pill, brace, or other treatment plan that will get rid of your symptoms completely unless you also address the quality of your fascia and how it is affecting how you hold yourself and how you move. These are the five most common sources of structural stress that can lead to a repetitive strain injury. It's not hard to imagine that if you begin combining several of them together into your body history, unraveling them to discover what is the actual cause of your RSI can become tricky. In almost every case, an injury is due to several of these causes, affecting multiple parts of the body. When you begin a recovery program for RSI, be sure that you approach it from several directions, looking at all the possible causes - the recent to the very old. The physical, the mental and the emotional. Think about what you are doing when you feel pain, weakness, tingling or numbness. Have you felt that before? When was the first time you felt that sensation? What were you doing then? Because your body's life history is recorded in the connective tissue of your body, your job becomes that of detective - figuring out what you feel and when that began. This will lead you to clues about the nature of your injury, what aggravates it, what makes it come and go, and ultimately, what you need to do to recover. To ignore one of the causes could be an invitation to delayed results, poor results, or no results. "I have been doing your stretches for 2 weeks. Yesterday was my first pain-free day in months. I thought I was going to have to give up my word processing job, or my knitting, or worse, have surgery. But the stretches have made such a difference and I can feel improvement every day." In every case of RSI, fascia plays a major role in the symptoms you feel and the changes that take place in your body. Therefore, it is imperative that you address the role fascia plays in your injury if you have any hope for a true recovery. This website focuses on the fascia of your upper body, how your symptoms are generated and what is needed to restore damaged or altered fascia back to a more balanced, more optimum condition. By attending to this aspect of your RSI first and achieving the desired restoration of your fascia, your symptoms will be significantly reduced or may disappear altogether. Then, any additional recommended therapy you incorporate in your recovery program will work better and faster. Be sure to visit the section on Fascia to learn about its role in your injury. Then, proceed to the pages that relate directly to the type of RSI you are experiencing for more specific information and guidance. Everyone is searching for the solution to their pain. Sometimes, the answer can be deceptively easy. Don't get me wrong…it will take some time and effort to get to the results that you are wanting. You're going to have to learn a few new things too. But it sure makes a difference when you can feel changes happen quickly, especially when those changes make a difference in the symptoms that you feel. Your body has an innate wisdom about your injury. It knows what is stuck or damaged, where it's located and what it will take to release the damage and return the fascia back to normal. The Butler Method of Rapid Fascia Release taps into that innate knowing, allowing the body to release adhesions rapidly, fully and effectively. 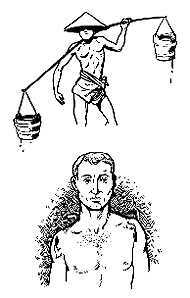 Each Self Care Toolkit offered on this site gives full instruction in the Butler Method of Rapid Fascia Release so you can get great results in less time. The Butler Method of Rapid Fascia Release can help you reach your healing goals as quickly and safely as possible. Click HERE to learn more about this breakthrough process. 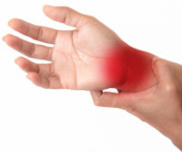 On this website, we will look at repetitive strain injury in a whole new light - from the perspective of the fascia (connective tissues) of the body. Once you learn more about this critical and often overlooked tissue, you will understand that there are real solutions possible. There is hope for a real and complete recovery from your repetitive strain injury. 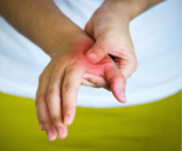 When you have a repetitive strain injury, most people will be frustrated because their symptoms don't perfectly match the typical symptoms of the injury they have been diagnosed with. Believe me, that is very, very common. The reason why this happens is because it is the fascia that is actually the injured part in any RSI. And fascia is everywhere under your skin. How you were injured and what you were doing when you were injured, or what you have patterned into your connective tissue just by living your life will affect the fascia in your body in unique ways. And this can lead to confusing symptoms that are different from the textbook definitions of your injury. In the self care toolkits that are offered on this website (see each injury section to find the links to the Toolkit you might need), this unique characteristic of fascia is taken into consideration. All the information and techniques offered will help restore injured tissue back to a more normal condition even if your symptoms differ from the typical symptoms of the injury that you or your doctor think you have. This website will offer information and insight into seven of the most common upper body RSI's. The goal of this website is not to diagnose or cure your RSI. Instead, the goal is to restore your injured fascia back to a more normally functioning condition so that your body can heal itself. By helping your body in this way, you can reverse your symptoms quickly, safely and comfortably in the comfort of your own home. What could be better than that? Carpal Tunnel Syndrome is one of the injuries that affects a nerve, in this case, the Medial Nerve of the arm. This section is helpful for people who experience pain, numbness, tingling, or weakness of the thumb, index, middle (and sometimes part of the ring) fingers. It is often accompanied by pain or weakness in the forearm and wrist as well. Thoracic Outlet Syndrome is another nerve-related condition. In this case, the whole nerve bundle (the Brachial Plexus) that serves the arm is affected. This means that if you have TOS, your whole arm and hand may be numb, tingling, weak. You may have circulation problems as well in your hand or arm, often when putting your arm in specific positions. Ulnar Tunnel Syndrome is the third nerve-related condition covered on this website. In this case, it is the Ulnar Nerve that is affected. This nerve serves the outside of the forearm from elbow to wrist, as well as the ring and little fingers. Symptoms of numbness and tingling will often develop from resting the forearms or wrists on the edge of a desk or table. People who experience Forearm Pain will often have to deal with fatigue or weakness of their forearms, making their hands and fingers weak. The interesting thing is, they are not actually weak at all. The muscles of the forearms have just developed adhesions which limits the muscle's ability to work properly. Once the adhesions are released, strength improves rapidly. This is welcomed news to rock climbers, parkour, and other sports enthusiasts. There is no numbness or tingling associated with Forearm Pain. From a kink in the neck, to pain between or under the shoulder blades, headaches from tension and limited range of motion of the head and neck, this section will help you find solutions. There is usually no nerve related numbness or tingling with Neck and Shoulder Pain as it addressed in this website. Elbow Tendonitis is often confused with Forearm Pain because some of the tissues that create the pain in Elbow Tendonitis are right next to tissues that are implicated in Forearm Pain. The tendons at the elbow are the issue here and problems with them will generate the symptoms known as Golfer's Elbow or Tennis Elbow. Pain is usually felt when exertion or force is transmitted through the elbow, like when swinging a tennis racket or hitting a golf ball. There is usually no numbness or tingling associated with Elbow Tendonitis. Thumb Pain is becoming a huge phenomenon in today's modern world. With the ever-present strain of texting or using a cell phone, computer or tablet, the thumbs are under constant threat of injury from overuse. With so much constant motion and strain, the tiny muscles of the thumbs become overwhelmed, leading to pain in the thumbs and extending through the wrist and into the forearm. There is usually no numbness or tingling associated with Thumb Pain (DeQuervain's Syndrome).